Home>News> How To Use Reactive Ink From Fabric To Output? How To Use Reactive Ink From Fabric To Output? Reactive ink contains dyes that create chemical bonds with cellulose when applied to pretreated fabric and then fixated. 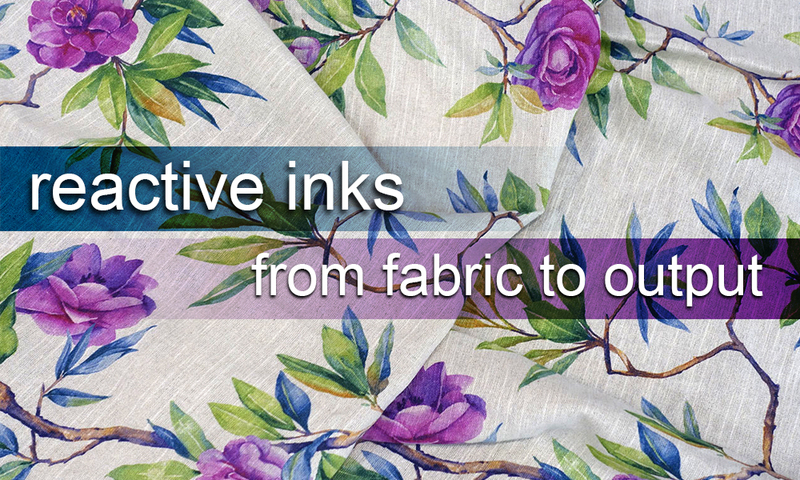 Reactive inks are best used for printing onto plant derived and cellulosic fabrics, such as cotton, linen, rayon, nylon, hemp or jute.They are called reactive inks since they react with the fabric and the chemicals of the pre-treatment, to create a bond between the dye of the inks and the fabric. 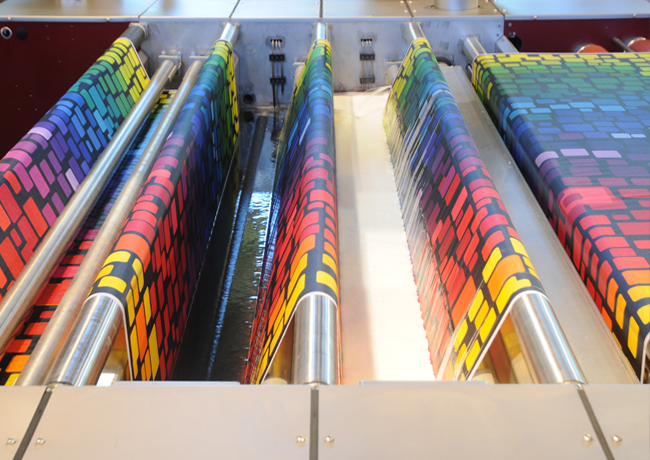 Reactive inks are not just lying on top of the fabric; they penetrate it and form a bond with it. 3. Print: printing is done directly onto the fabric. 4. Steam: you can do in-line steaming if you have the space or you can roll-up the media and then steam it; either way, steaming needs to be hot, to fix the color so it does not fade. 5. Wash: this requires three steps, for the first wash you use cold water, for the second wash you use hot water and for the third wash you use cold water one more time. This helps to eliminate the pre-treatment residue and the unfixed dyes. 6. Rinse: this step is only necessary if fabrics are to be worn, otherwise you can skip it altogether. Rinse the fabric with surfactant or mild reductive washing for neutralizing the surface.